To sum it up: In a French Kitchen is like peeking through the window of a French home and seeing how they prepare their meals and manage their kitchens (of various, albeit usually small sizes). This isn’t a memoir. It isn’t a comparison to American cooking habits. 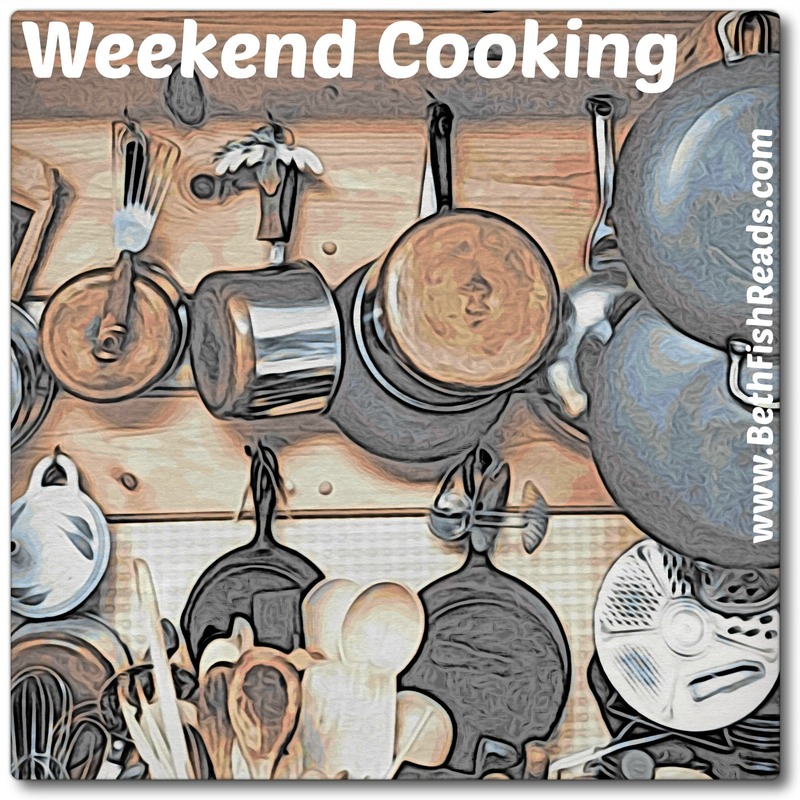 It’s strictly a look at how the French manage their kitchens and includes a number of wonderful and easy to follow recipes for the reader to try at home. Loomis covers everything from how to organize the pantry (keep only the essentials) how to shop for produce on an as-needed basis rather than bulk-buying as well as discussions on cooking techniques, and the roles and importance of the primary foods such as cheese, wine and bread in a French home. Loomis weaves in lists, tips and side notes quite seamlessly throughout the book. Although I did find her Pantry Essentials List to be a bit much for a non-professional chef. Then again, she has 4 sinks in her kitchen so her frame of reference it a bit skewed for normal people. The French essentials list she has is more realistic and applicable without her personal additions. The only parts of that book that irked me where her constant mentions at being able to access farm fresh fruits & vegetables. Literally from a farm or from a neighbor’s extravagant garden. I’m nowhere near this lucky in an urban city. But alas, it’s not about me, it’s about how the French have so much quality food within reach. Much of the cultural aspects on food I already knew. The French don’t snack between meals, except for the 4p goûter. They buy produce almost daily due to the abundance of fresh markets, boulangeries, fromageries and chartuceries in every arrondissmont. The French can buy their meat fresh and their bread baked fresh daily. In the US, its hard to find a bakery that actually sells bread rather than cakes and pastries. Most butcher shops are in grocery stores with meat that’s been pre-sliced for who knows how long. Despite much of the information not being new to me, Loomis’ writing style was inviting and informative. It basically sums up everything I learned from a number of books and memoirs. Its a good reference source for creating a food philosophy for an aspiring foodie and chef. I’m eager to try out some of the recipes in this book. I just wish she had included a brioche recipe. I’d love to get an authentic recipe for those yummies. One new thing I learned was how much the French love sugar. Vanilla sugar makes an appearance in nearly all the dessert/pastry recipes and I have no idea how to get my hands on some in the US. Loomis has written a number of books about her foodie experiences in France. One memoir and a few cookbooks. I read and highly enjoyed her memoir On Rue Tatin (although I neglected to review it.) She refers back to that book quite a bit in this new title, so it wouldn’t hurt to give Rue Tatin a read. 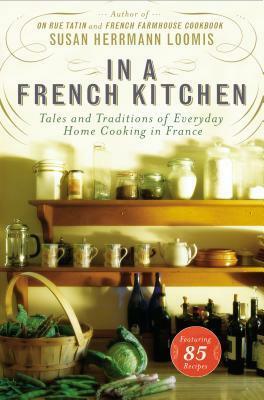 This entry was posted in Books and tagged Book review, french cooking, in a french kitchen, susan herrmann loomis. Bookmark the permalink. I LOVE Loomis!! I’m currently reading this one and am loving it. Vanilla sugar? Just tuck a vanilla bean (slit it and scrape the beans into the sugar too) in a jar of about 2 cups of sugar and let it sit for a few days (I shake the jar every once in a while). My mom made it all the time when we were kids. Four sinks in her kitchen? As I sit here in my small NYC apartment, I am envious. How very interesting! I do like the fact that they are able to buy all their goods daily and fresh. Tougher to do here in the US. I like the idea of vanilla sugar. Sounds good.